Before this trip we had only ever visited Turkey once and that was to a coastal resort. 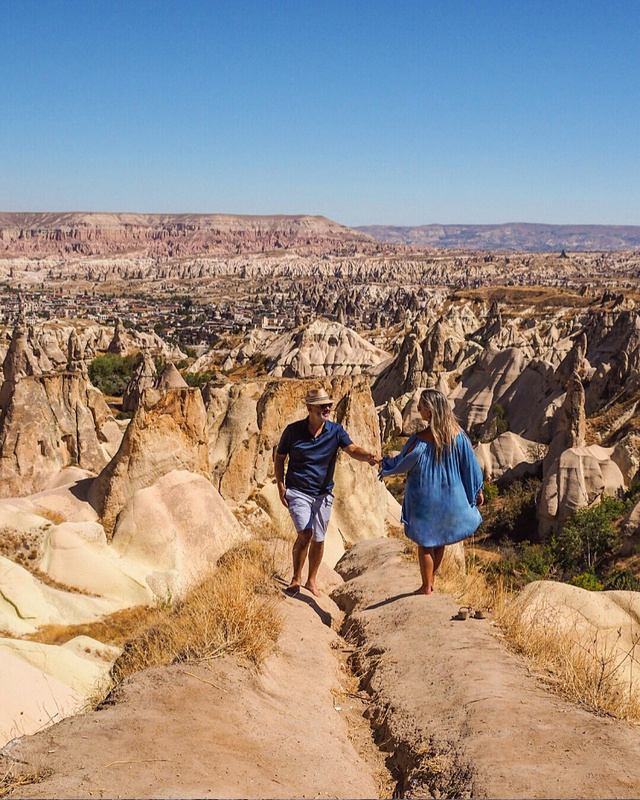 So we couldn’t wait to explore Cappadocia in central Turkey which was only a one and a half hour flight from Istanbul! We knew it would be interesting, different, intriguing, beautiful … but nothing could prepare us for all that this incredible compact area holds! 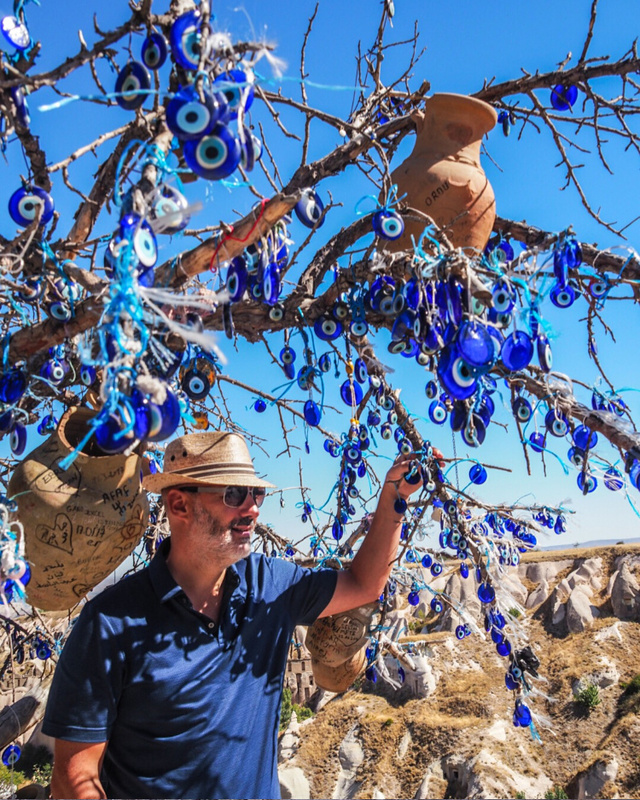 Firstly the wonderful village of Goreme was our base which is perfectly placed to visit everything there is to see within about a 15 to 30 minute car drive out into any direction! But even more special than it’s location was the incredible ‘fairy chimney’ buildings that are dotted in abundance throughout the whole town! 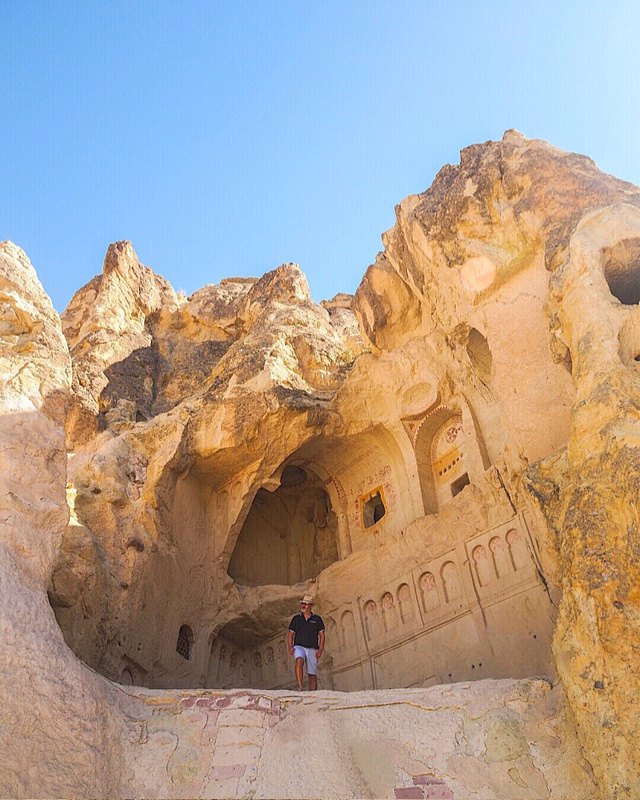 We were lucky enough to stay in 2 very beautiful fairy chimney hotels during our trip … Sultan Caves Suites and The Local Cave House. Both of which we can highly recommend as they are in the centre of town, have free parking, beautiful rooms, stunning views, surrounded by fairy chimneys galore, have amazing viewing terraces and wonderful breakfasts to boot! 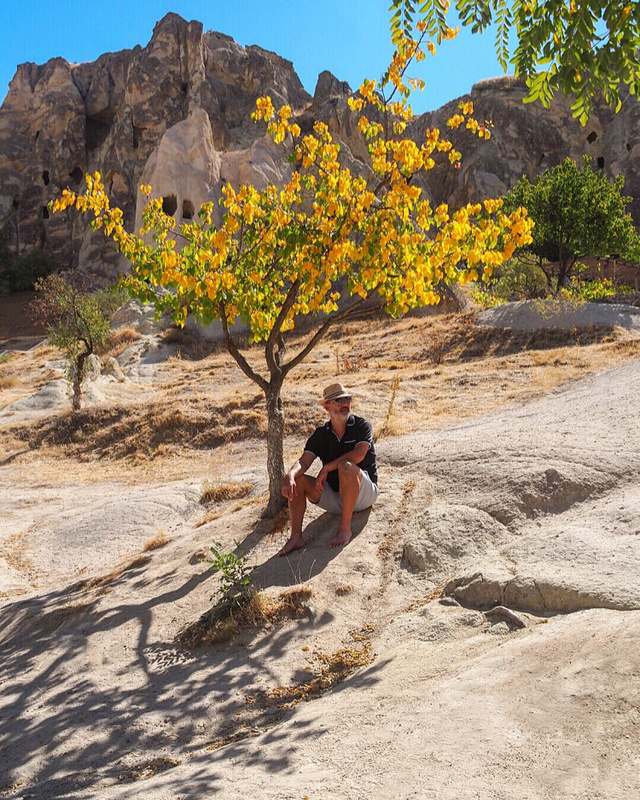 A must visit, literally on the edge of town, is Goreme’s Open Air Museum which gives you access to a fairy chimney village where you can go inside of the cave homes, an amazing rock cathedral and many chapels that are dotted throughout! Driving out of town there are many ‘valleys’ that are all different in rock formations which is astonishing in such a small area! This is due to their position and how the weather has battered them into these shapes over thousands of years! 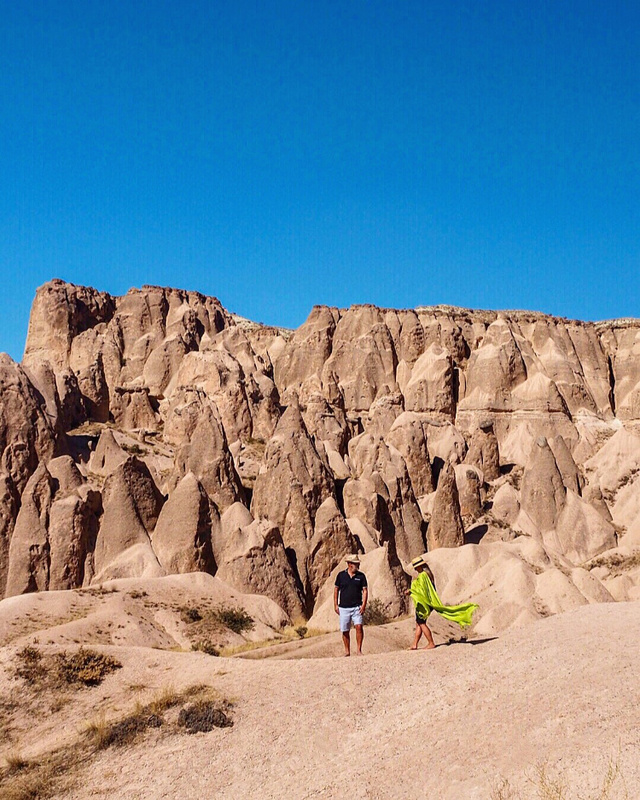 The most aptly named one is Love Valley where hundreds of tall pillars of stone have weathered into a very obvious ‘male’ shapes! There is a brilliant out look spot with heart shaped swings and benches where you can take in the unusual view! Pigeon Valley was mind bogglingly beautiful – like a small Grand Canyon! 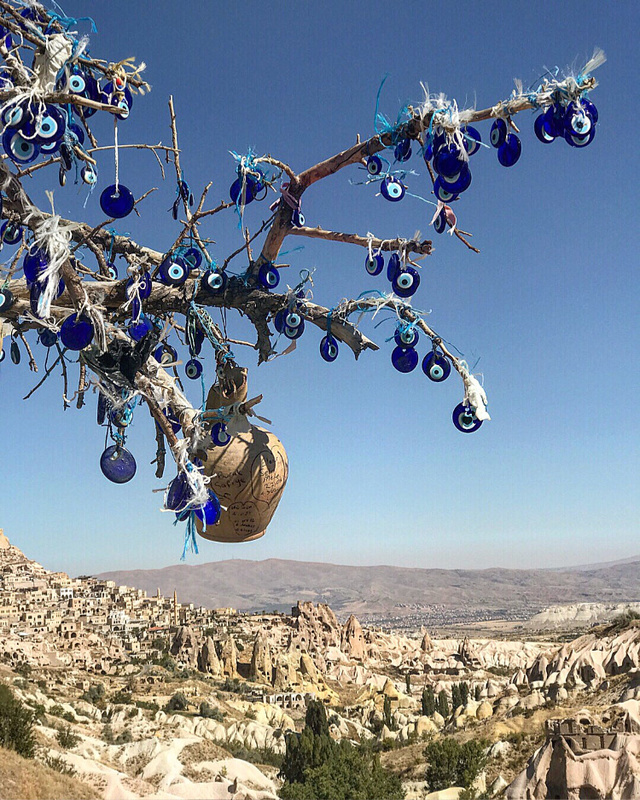 The colour of the stone is golden and there are also the famous trees that have been covered in the blue glass ‘evil eye’ good luck charms! 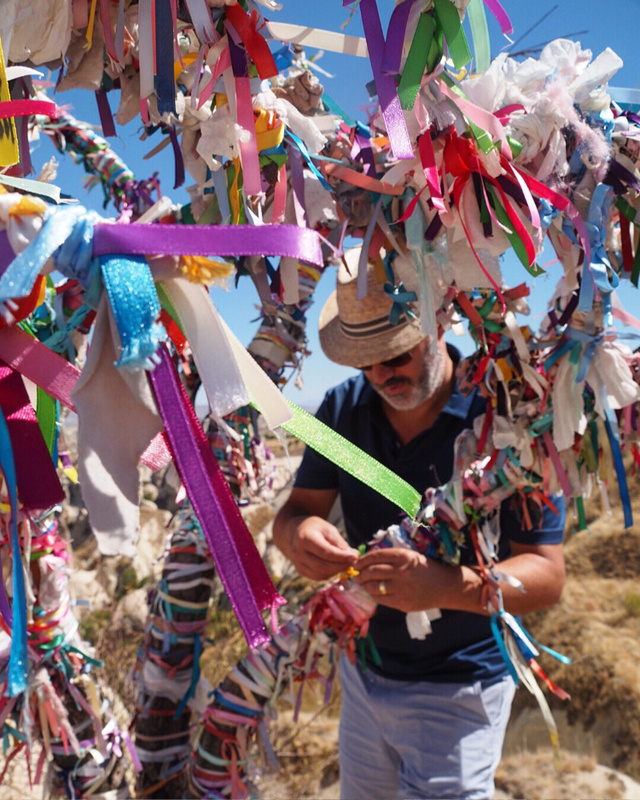 We also found ‘wishing trees’ where you choose a coloured ribbon and make a wish as you tie it to your chosen branch. We loved this idea and the trees where so pretty! 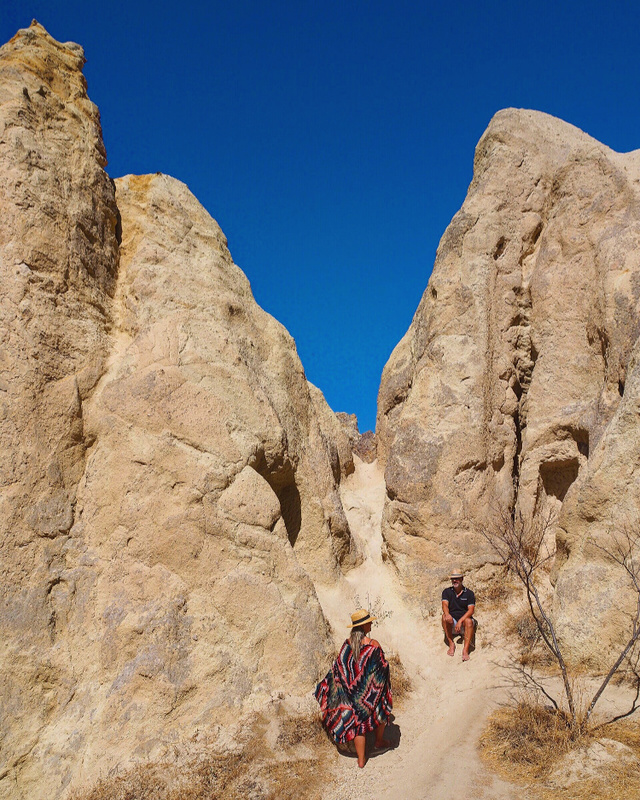 Rose Valley, Pasabag, and Imagination Valley are also worth a visit but to be honest wherever you drive the landscapes and views are gorgeous with numerous pull over spots to stop and marvel – just go with the flow and you’ll discover most of it en route anyway! 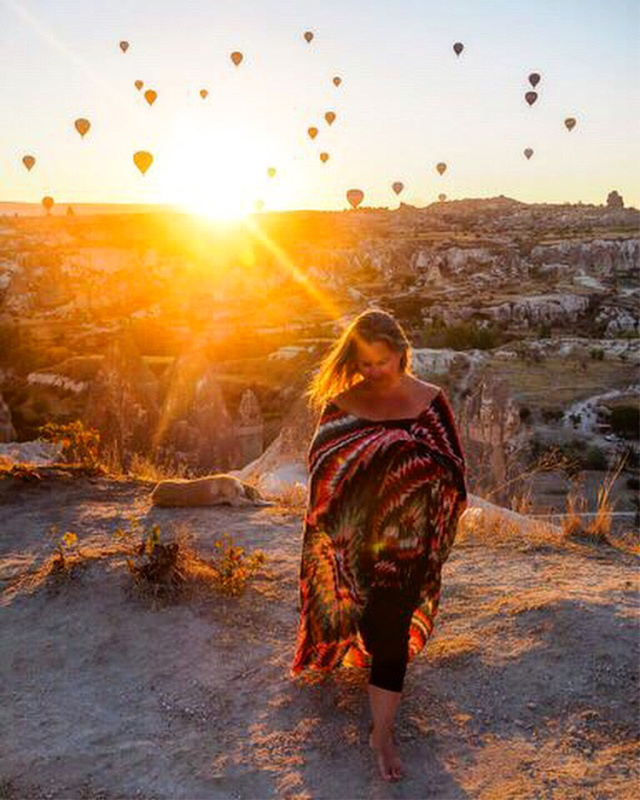 There is, of course, another huge reason why you would come to Cappadocia and that is to experience, at sunrise every single morning, around 200+ hot air balloons filling the sky! It was the most exciting thing to witness and totally dream like! Just before sunrise each day you can hear the ‘call to prayer’ echoing through the town which was hauntingly beautiful. As soon as that sound disappeared you could slowly start to hear the humming of generators starting up in the distance. 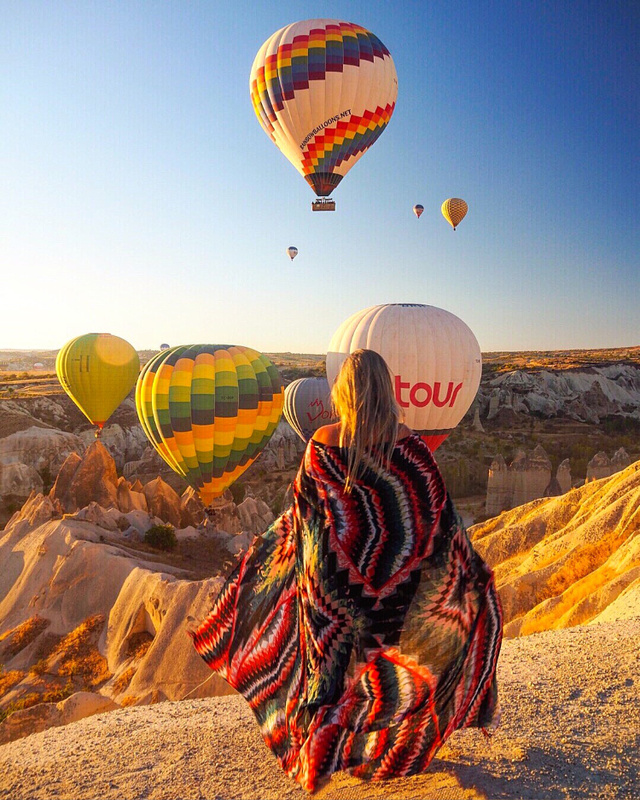 The hot air balloons take off from numerous spots around the whole area and the excitement really starts to build as people in the hotels begin to wake up and move around preparing to go out and watch this wonderful event! 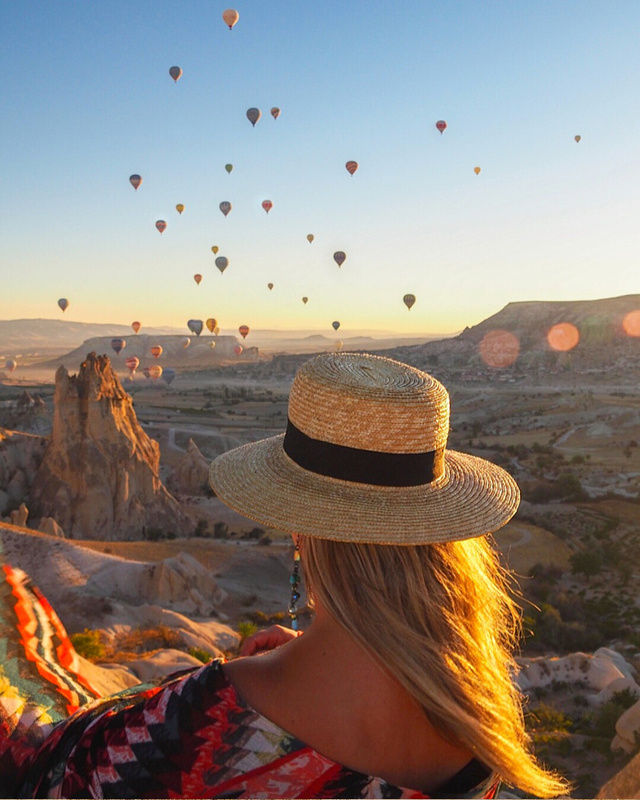 We watched the balloons, on one morning only, from Sultan Cave terraces which was great but every other morning we jumped in the car and went out to get amongst the balloons which was so much better … and we would strongly suggest you follow suit. 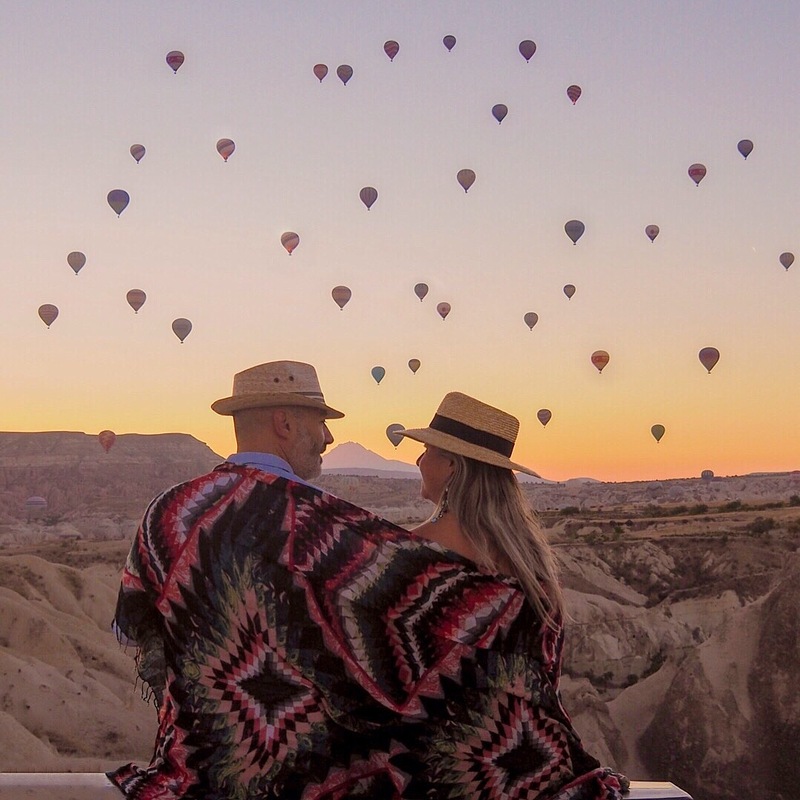 Firstly you can literally get under the balloons as they take off … you may imagine that they float up and go off fairly quickly but it is so gentle and calm – giving you plenty of time to then drive up to the top of a valley. 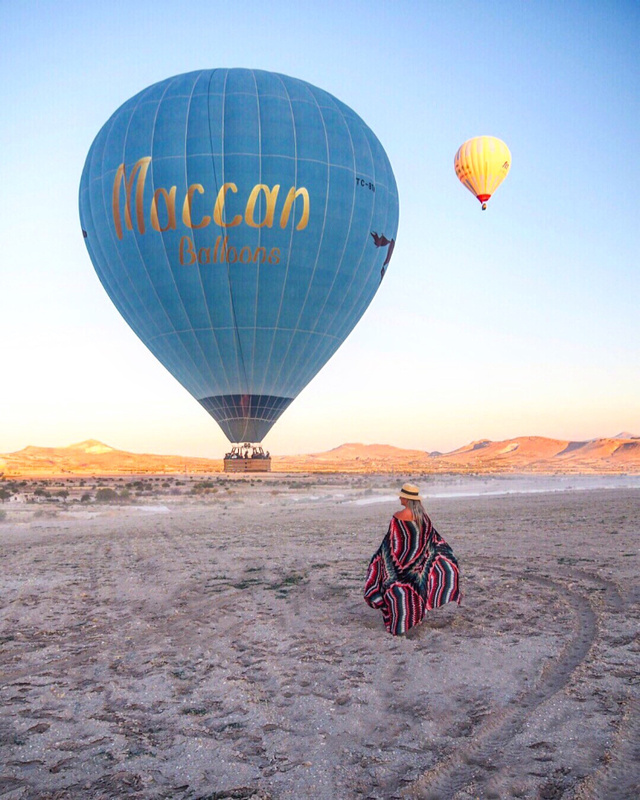 Here you will then have the balloons below you floating up as well as above you drifting off just as the sun finally rises – TRULY SPECTACULAR! We didn’t think we would get up every morning as you’d think it was more or less the same thing each day BUT we were hooked and there was no way of missing one sunrise! Every time we watched from a different location and absolutely loved every single second … so unique, so beautiful, so special! The friendly, welcoming local people also made the trip for us. We were also surprised by how totally delicious the food was and the local wines were fabulous too! Coming from the UK the exchange rate was incredible and being use to European prices we were shocked at how cheap everything was! 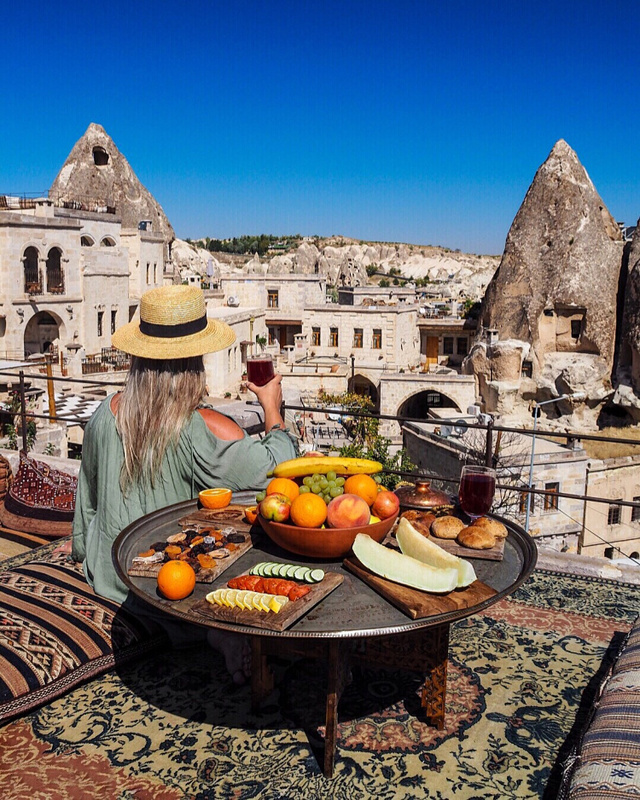 If you can tear yourselves away from, the quite frankly, astonishing landscapes then the shopping is a bit of fun too as they have many infamous rug shops with stock piled high from floor to ceiling … and you are destined to haggle over a Turkish tea or two for sure! 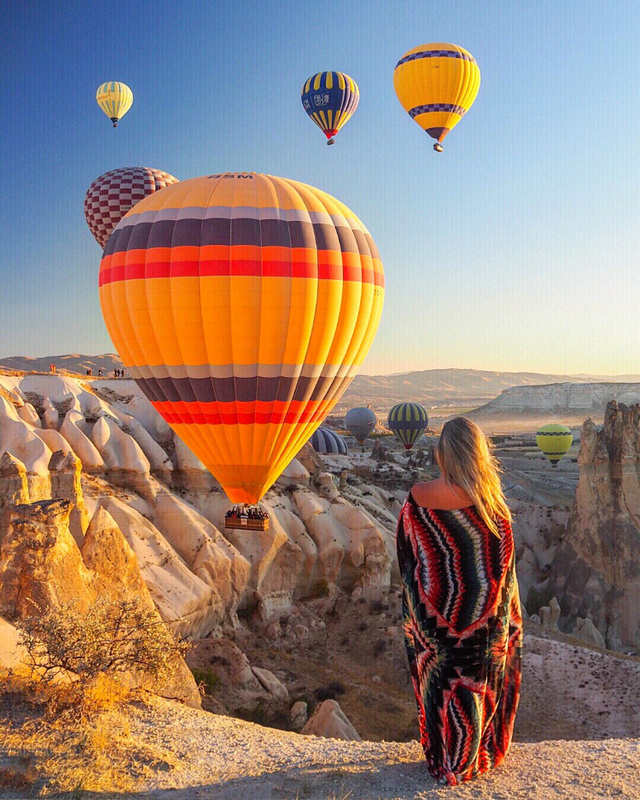 This trip was a dream, a fairytale, a bucket list moment that we will never forget and if you do ever have the chance to go then grab the opportunity with both hands and ENJOY!